The kick-over-front, front-toss, front-dump, chicken-flip has an actual name, the Rowe. Gymnast photos by the wonderful Christy Linder of Gym Focus. Russian news: Mustafina is back on bars! Rodionenko announced retirements, but are they all true? And why Russian athletes go to Germany for treatment. The IOC announced that transgender athletes can now compete without gender reassignment surgery. We wonder how the gymnastics community will react and discuss why the IOC is far ahead of the NCAA when it comes to trans issues. Grandi says people think he is obsessed with justice. Has his biggest impact in the sport been one of fairness in judging or nah? NastiaFan101 says we’re wrong about Valerie and his WOGAtchev, some of his gymnasts had great tkatchevs. Jill asks who do we think will replace Marta Karolyi as US Team Coordinator and who should replace her. Professor Nin took issue with Jessica’s implication that people of color are less educated and therefore not eligible for head coaching positions (not what she meant! She was talking about these statistics). The professor goes onto explain what she thinks schools and athletes look for in a prospective college. The cartoon mouse who makes every Oklahoma home meet worth watching and why. Which beam rotation was the bleakest this week. Could Ukraine beat Georgia at anytime if they wanted to? Why Florida will never remove Bridgey Caquatto from the anchor position on floor and what the television crew thought of her performance. What kind of amazing things could you accomplish in life if you had a mic-ed up Dana Duckworth in your ear 12 hours a day? 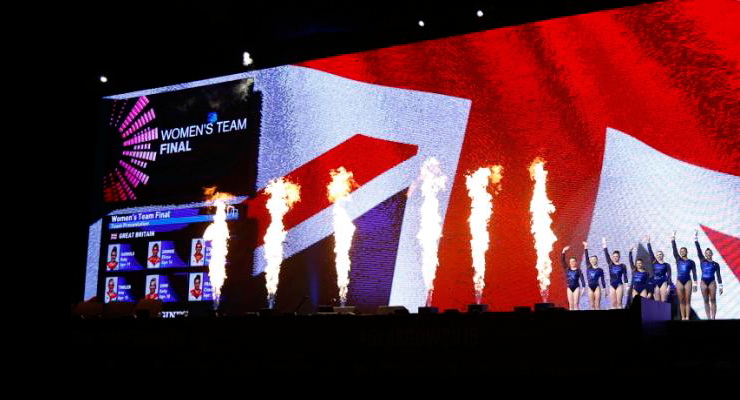 Why gymnastics fans should care about men’s gymnastics–Anton Stephenson and Maggie Nichols video, the biggest fashion faux pas in men’s college gymnastics and Ethan Lottman for Olympic pommel horse champion. 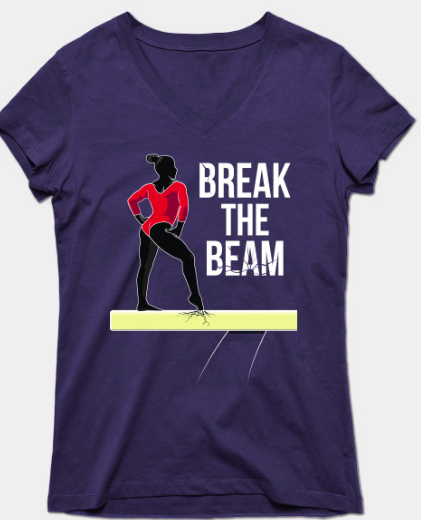 Should the beam be changed after Katelyn Shashi’s terrifying beam fall, and should she have really done her routine again even if she was ok? Which underdog teams can legitimately contend for a Super Six spot this year? 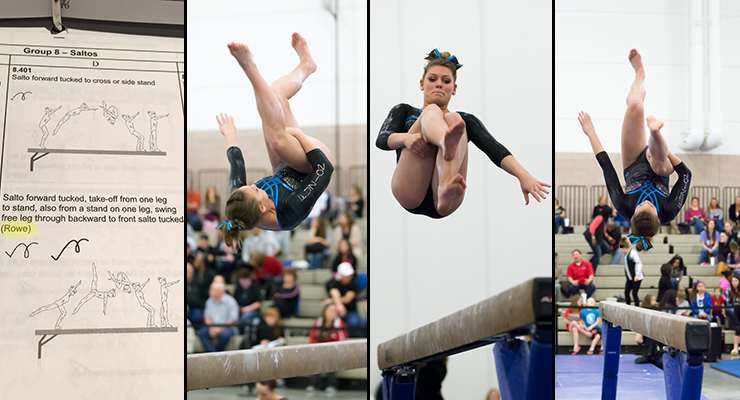 New Hampshire’s beam team and Missouri’s all-around game are on our radar. Rage-o-Meter: The Dumbass Award so far goes to Temple University for getting stuck on the highway in a blizzard for 30 hours. Smart move. Nobody saw that surprise blizzard coming. Listener Inbar_Gienger will have this series written into book two of the Lauren Hopkins 2016 trilogy! Congratulations! #ShowYourScreens Twitter challenge. This is how gym fans roll on Friday night. We have video recaps of some of your favorite episodes. Here’s Nanning Event Finals. Thanks Ms. M for putting these together! Check out our YouTube Channel with new video summary episodes here. Paul Ruggeri, Steve Legendre, Brandon Wynn, Donell Whittenburg, Sam Mikulak, Danell Leyva, Alex Naddour and Jake Dalton (L-R) at training camp in Rio. Who we are most excited to see at the American Cup and why Mai Murakami is going to win floor according to Jessica. Why aren’t there more head coaches of color in the NCAA? Can someone interpret Charity Jones (OU) floor routine for us? Which team we’d buy a workout video from because their conditioning is insane! Why do all the Russians have to go to Germany for medical care? Nica Hults got a 10 on beam while Simone Biles cheered like crazy and Chusovitina intimidated the judges at the Texas Prime meet. The US men wore culturally appropriate bathing suits on their trip to Rio, and shocker, the world responded with joy! Where we’d send the US women for international training camps like the men have. What: One lucky listener will have their very own unique skill or routine written into book two of the Lauren Hopkins 2016 trilogy. D.C. is on our radar! 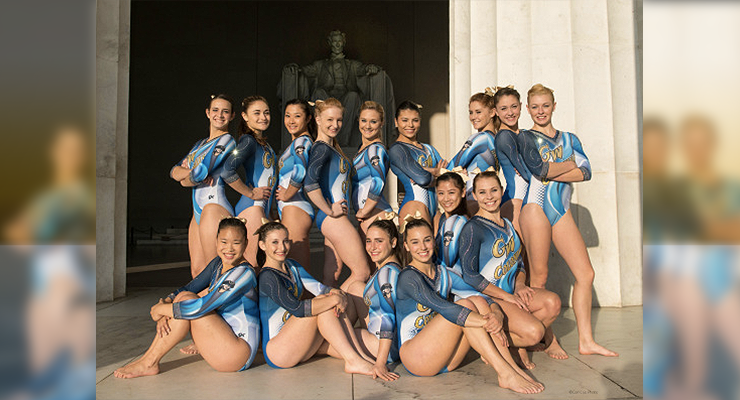 The 2016 George Washington University Gymnastics team scored a 196 to open the season. They are the hipster, underdog team to root for this year. Photo by Carl Cox. Why Uncle Tim is soooooooo over the NCAA vs. Elite debate. Which elite superstars we are following in college. 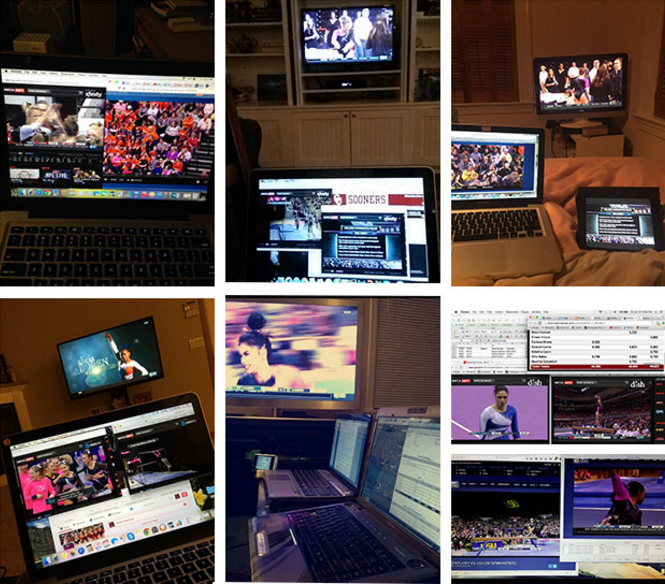 Our top skills, hilarious commentary fails and squeal worthy moments from the first week of full NCAA competition. Why water bottles should never, ever, ever be on a gym floor. Ever. Spencer’s first “Balance Beam Situation” Code of Points rule. Which school all the hipster kids will be fan-girling over this year. Haaaai, George Washington with your 196. Ebee didn’t compete with a concussion. Sabrina Schwab’s (Utah) floor routine. A review of the new vault values in college gymnastics. How coach Martin O’Hara was to abuse gymnasts for 20 years before being caught and what the gymnastics community can do to stop this from happening again. What: It’s the Olympic year, time for another amazing GymCastic giveaway. Frequent guest host, Lauren Hopkins of the Gymter.net has released the first in her young adult fiction series, Finding Our Balance. One lucky listener will have their very own unique skill or routine written into book two of the 2016 trilogy. Prize: A copy of Lauren’s book, Finding Our Balance. Join Club Gym Nerd here for super affordable $2/month. The first tab shows Division I WAG teams: percentage of elites on the team, which athletes competed elite (US junior or senior or foreign gymnasts in international competition) and for what country. The second tab lists current, future, or past NCAA competitors at the 2015 WAG World Championships in Glasgow. Highlighted in yellow are the individuals who competed this year. The third tab shows MAG data, percentage of elites on each team, who competed at Worlds in 2015 and for which country. Of the 1017 NCAA WAG gymnasts, 208 were elites. That is 20.452% of all female Division I gymnasts. For WAG at Worlds, there were 3 gymnasts who are actively competing NCAA and Elite. Of 318 MAG NCAA gymnasts, 108 were elites; that is 33.96% of all male college gymnasts. 8 competed at Worlds. A clarification to start the year off : USA Gymnastics did not actively delete Marvin Sharp’s name from Bridget Sloan’s biography page, it was automatically deleted when his gym became ineligible for sanctioned competition. American Cup competitors announced while Russia names 90% of it’s Olympic team and Romania announces the Rio training squad. Our thoughts on Shawn Johnson’s new wedding-YouTube channel. Spencer tells us which elites are killing it in NCAA already, which freshman are on his must-watch list and we discuss our hopes and dreams for the new Greg Marsden, Sam Peszek, Alicia Sacramone commentary team. Do we victim blame on the show? What: It’s the Olympic year, time for another amazing GymCastic giveaway. 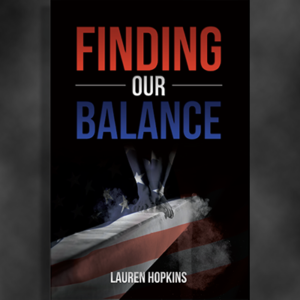 Frequent guest host, Lauren Hopkins of the Gymter.net has released the first in her young adult fiction series, Finding Our Balance. One lucky listener will have their very own unique skill or routine written into the next book one in the 2016 trilogy. 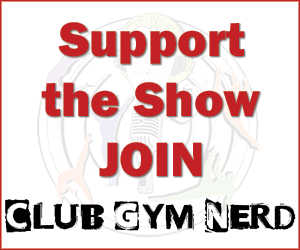 Join Club Gym Nerd here and get the personalized GymCastic treatment.